As small as it may seem, Croatia is actually a pretty big and long country. Before you plan your trip, look at the map and organize your stay rationally. If you’re a fan of nature parks and big cities, go see Plitvice lakes and Zagreb. If you prefer the islands and coastline cities, look at areas around Split. Whatever you choose, bear in mind that the traffic gets bad during the season ( June 15th – August 15th) and you can’t plan your travel time precisely. If you are limited on time, it makes more sense to fly into one city and out of another, for example fly into Zagreb and out of Dubrovnik. Yes, you’ve read it right. Although Croatia joined the EU back in 2013, its economy keeps it from meeting the convergence criteria for adopting the euro. The currency you need is KUNA and you can either order it at your bank prior to the trip or exchange it upon arrival. If you have time, I would suggest going with option one since some exchange offices take commission fees. You can also use your ATM Debit card if you have a 4-digit pin, this will also give you a pretty good rate and is very convenient. We all know how traveling can sometimes bring us a few surprises along the way but if you plan ahead, nothing too scary will catch you off guard. For example, you can’t buy ferry tickets on the ferry (it can either be done online or at one of the Jadrolinija booths in the harbors), a lot of online timetables are not up to date, the buses are rarely on time during peak season, island hopping is not easy if you’re doing it by yourself and often takes time, the power sockets in Croatia are of type C and F (the standard Euro plug) etc. I am here to help make your trip easier, so if something is not clear, ask! 4. Drink up- water is safe! Summers in Croatia can get extremely hot and it’s very important not to get dehydrated. Tap water is extremely safe so feel free to fill up your bottles wherever you are staying! You’ll rarely find a restaurant owner that doesn’t say his food is fresh from the market but we all know it’s not always true. Well, coming to Croatia, you better start believing this. Freshly caught fish from the Adriatic, veal from the local farms and freshly picked vegetables are a part of almost every restaurant’s daily routine. 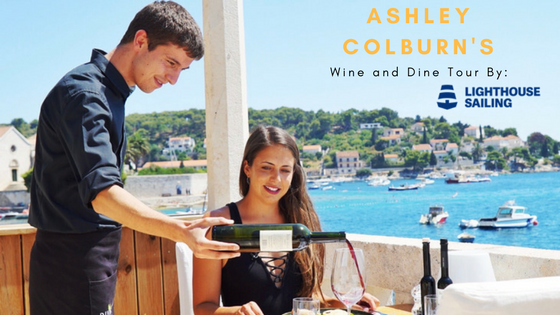 Pair your delicious dinner with high quality Croatian wine or book a wine tasting tour at some of Croatia’s well known wineries. The food is extremely good quality for the price and experiencing the food and wine culture should be part of your Croatia experience. Please avoid kebabs and eating pizza everywhere, food is relatively cheap even at the restaurants, so enjoy it! Taxis can get rather pricy and if you don’t want to break the bank, install the UBER app and drive around. It’s available in all major cities now and it’s the easiest way to get around. However, if you have time, check the city bus and tram schedules and explore the cities by public transport. It’s cheap and effective (most of the time). Even if you do have a passion for this kind of behavior, try to avoid looking and acting like a tourist. If a sign says DANGER, it usually means it’s dangerous. If locals tell you to wear sunscreen and hats from 10 am – 4 pm, it’s because the sun is too strong and you can get severely burned. If you see a sign not to walk around the center in a bathing suit, listen to what you’re told because you sure don’t walk like that on a regular basis in your own hometown. Avoid tourist traps. You’re smart, you can see through them. Avoid eating in the strict center, especially in Dubrovnik.Of course it’s pricy. You get the point. Tipping is not welcome in Croatia – said no Croat ever. You loved your meal? Leave a tip that you think is worthy of the meal. You loved your tour guide? Tip them generously. Don’t ask what the standard for tipping is. There is none. You can tip what you feel like and change somebody’s day for the better. We are all used to our certain ways of life in the countries we live in, but nobody lives like the Croats do. Drinking coffee for three hours at the local square sounds crazy to you? You have better things to do than doing nothing?Paying for the meal of your better half and not just your own is too forward for you? Paying for a drink of the bartender you chatted with sounds insane? Nope. That’s how the Croats do it. There is no separate paying, it’s either your turn or it’s not. Bartenders are sometimes the best friend you can find and life is always good. Go with it. Change your ways. Do as the Croats do. Candids, hashtags, finding the right light for your selfie and similar is a must on vacation but let me just remind you – you’re in one of the most beautiful countries in the world. Are you really going to spend your vacation on your phone? Enjoy the sunset, take a beach walk, have a glass of wine, find locals to talk to, observe your surroundings. Take it all in.